As HBO and its slew of brand partners have been flooding the zone with Game of Thrones marketing in recent weeks, leave it to DDB Sydney and Foxtel—the exclusive Australian broadcaster of the fantasy drama—to unveil perhaps the most remarkable piece of GoT advertising yet. 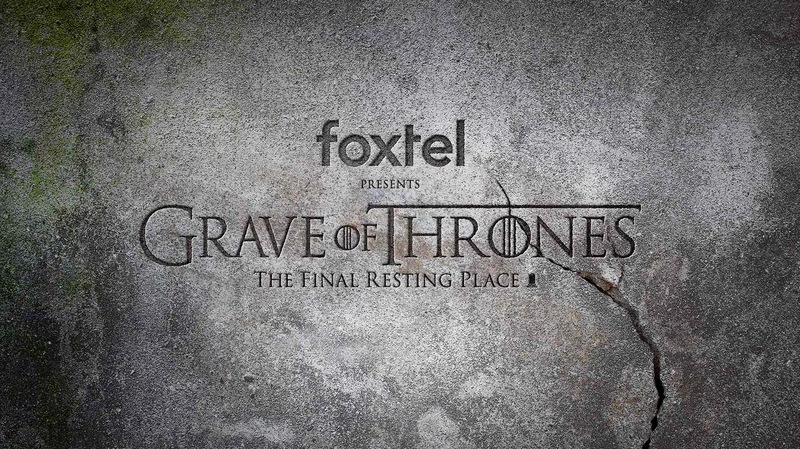 DDB and Foxtel built a 20,000-square-foot graveyard that includes gravesites for many of the iconic characters who've perished over the course of seven seasons. It includes two grand family mausoleums to the deceased members of House Stark and House Baratheon, as well as headstones for Joffrey Lannister, Ramsay Bolton, Khal Drogo, Tywin Lannister, Littlefinger, Olenna Tyrell and more. The graveyard—an incredible work of craft, amazingly detailed—can be found inside Centennial Park in Sydney and will be open to the public from Friday to Sunday. It was designed by DDB and built in partnership with Revolver/Will O'Rourke and The Glue Society. Part of the power of the installation comes from the aging condition of the headstones. They look hundreds of years old, which lends a richness and poignancy to the site—and suggests the battle for Westeros took place long in the past. DDB says the a team of top sculptors, designers, painters and builders worked hundreds of hours to build the graves, "richly layered in GoT stories and references." "The detail of the build is staggering, and we're acutely aware of the pressure on us to execute with meticulous detail," says Ben Welsh, DDB Australia's chief creative officer. "When you're dealing with show like this, with such an obsessive fanbase, you've really got to pull out all the stops." Got fans are encouraged to bring tributes to lay on the tombs and headstones to pay their respects. See some video footage of the graveyard below.